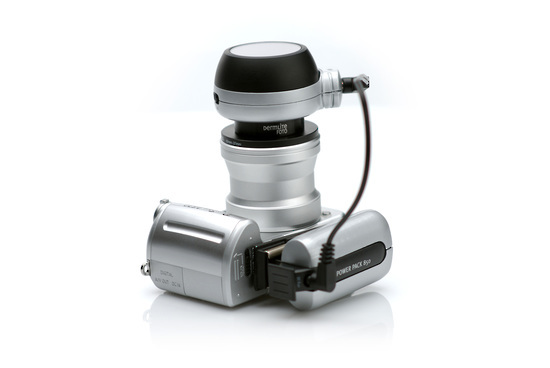 Dermlite Photo allows you to connect to a digital camera or video camcorder to record high definition images. 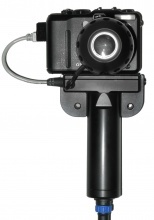 Dermlite Photo uses a cross polarised 24 LED white light for natural illumination and a high quality compound lens to create an epiluminescence microscopy system that captures images with superb clarity & detail. 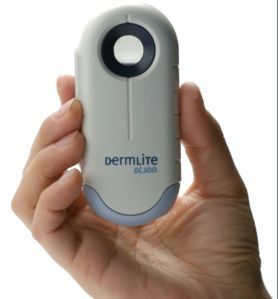 Dermlite Photo is supplied with a rechargeable lithium-ion battery, battery charger, Photo Light Head, adapter, cables & manual ready for use. Optional software is available allowing you to download & store images.